Outdoor Adventure: Cliff Ziplining in Hong Kong at Tung Lung Chau! Ziplining is not the privilege of the South East Asian cities. It’s available right here in Hong Kong (no suprise indeed given how many outlying islands and cliffs we’ve got), and we have probably the best view for ziplining. I mean, where else could offer you the view of ocean, cliff, mountains, and highrise skyline all mixed? Located at the east of HK Island and south of the peninsula of Clear Water Bay, Tung Lung Chau used to be a military area at Qing Dynasty. The island is filled with cliffs and has long been the popular spots among the adventurers who love to scale walls. Now there’s a new way to join the thrill-seekers: abseiling and zip-lining on this adventure island. Take the exit A2 of Yau Tong MTR Station. Follow the road uphill then downhill turn right to get to the Sam Ka Tsuen Ferry Pier. Get a ticket which is HK$36 round trip. The island is also famous for its historic camping site, Tung Lung Fort Special Area, which was built 300 years ago and is recently refurbished. 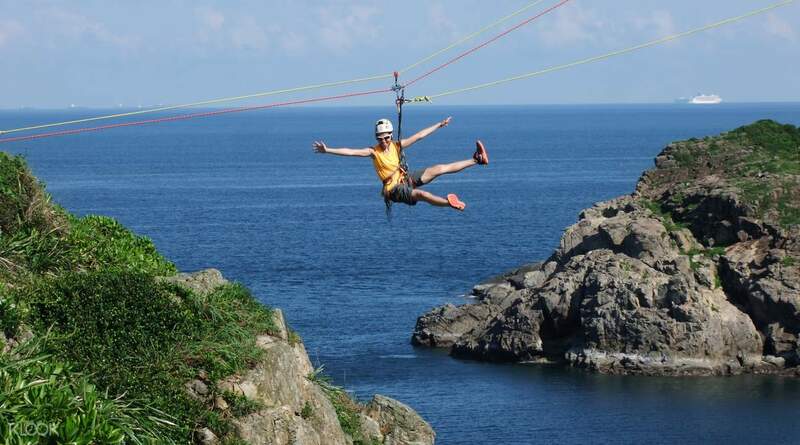 Ziplining tour is now available at Hong Kong Rock Climbing Adventure (HKRCA) on weekends, HK$680 per person. The package includes all safety equipment and coaching, 2 ziplining and 2 abseiling experience. The coach will also meet you up at Sai Wan Ho MTR station to take you to the island. Check out their website for more details and booking! Previous ArticlePotato Head: The Bali Beach Club in Hong Kong! Next ArticleRiver Paradise: New Floating Villas in Thailand Perfect for Getaway!